Do you notice that this is Sepia Scenes # 97? In 3 weeks I will post our 100th Sepia Scenes post! Oh My Goodness! And you may be posting your 100th Sepia Scene as well! I'd really like to do something special or suggest something special for us to do for that day which will be, September 8th. Will you make some suggestions in your comments this week? I'll spend all this week thinking about what we could do and reading your comments and posts. I'd really appreciate some help from you. Hmm, maybe something 100 themed. When I was five, we had this day at school where we had to bring in 100 somethings (I think I did pennies). Maybe something like that? And explain what it has to do with 100, like dollar in sepia (has 100 pennies). 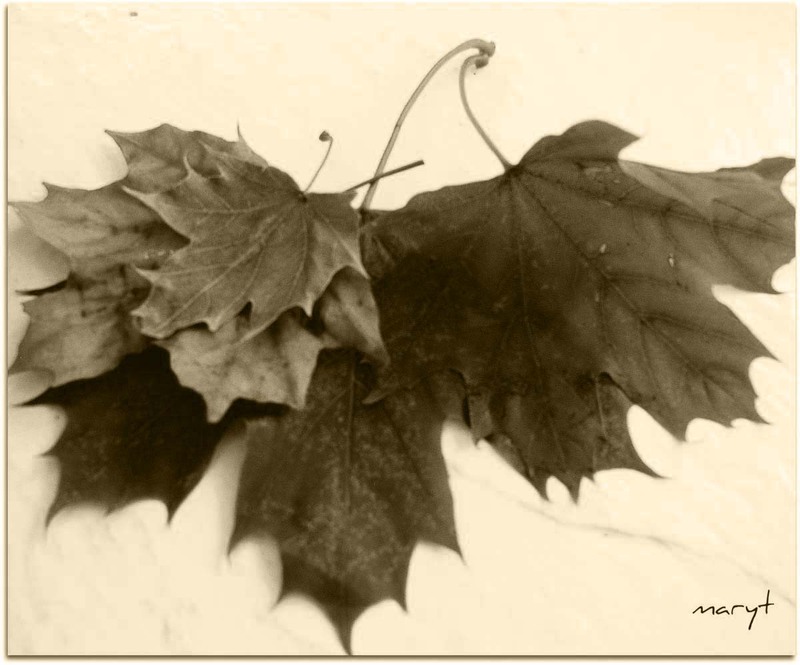 I like the leaves in sepia, MaryT. How about a photo we took 100 weeks ago converted into sepia? Or a photo that might have been taken in 1910 - 100 years ago? I have no great ideas of how to celebrate, but want to say that I really enjoy taking part when I can...and I like your leaves! Lovely Oak leaves ... always enjoy their shape. Seems autumn is starting your way? A suggested theme for the 100th: a special sepia scene shot of the participants: macro eyes, lips, the hands, the toes, sleeping on a chair, behind the desk, looking at the window! A self portrait in sepia! BTW, thanks Mary for inspiring us this way. And congratulations for being so creative 100 times! 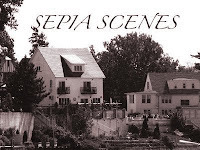 Wow, nearing the 100th issue of Sepia Scenes! Very cool and thank you for hosting. I love monochrome and sepia so try to play as much as I can. I have no ideas but there are a lot of great ones from other comments. Thanks again for playing with us! Getting ready for Fall are we, Mary? Automn leaves ? So early ? Leaves are well accord with sépia. Beautiful photo...beautiful blog! I am participating today for the first time. Hope to be back later when I have more time to check out all the delicious posts everyone is serving. What a great idea, Mary!